Andreas Wildhack (Dr techn, Dipl-Ing) is admitted as an Austrian and European patent, trademark and design attorney. He graduated from the Technical University of Vienna, Austria and Lunds Tekniska Högskola in Lund, Sweden with a degree in technical chemistry. 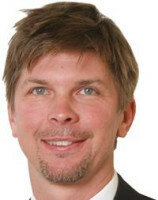 He is a senior partner at Wildhack & Jellinek Patentanwälte and advises on all aspects of IP matters, including prosecution and litigation proceedings before the European Patent Office (EPO), the Austrian Patent and Trademark Office, the EU Intellectual Property Office (EUIPO) and the World Intellectual Property Organisation. Mr Wildhack’s practice focuses both on prosecution and litigation involving patents, utility models, supplementary protection certificates, trademarks and designs. This includes opposition and appeal proceedings before the EPO, and national nullity and opposition proceedings before the Austrian Patent Office and the Austrian Higher Regional Court in Vienna, and opposition and nullity proceedings before EUIPO. Mr Wildhack is trained and experienced in the fields of chemistry, chemical engineering, pharmaceutical chemistry and life sciences. He is regularly involved in patent infringement proceedings – especially regarding pharmaceuticals, mostly representing generic companies – and has acted as international coordinator in pharmaceutical cross-border patent litigation.